After reading and re-reading my application, I closed my eyes and clicked submit. I was instantly relieved and nothing else really mattered at that moment. I did the thing that scared me and now there was nothing to do but wait…. 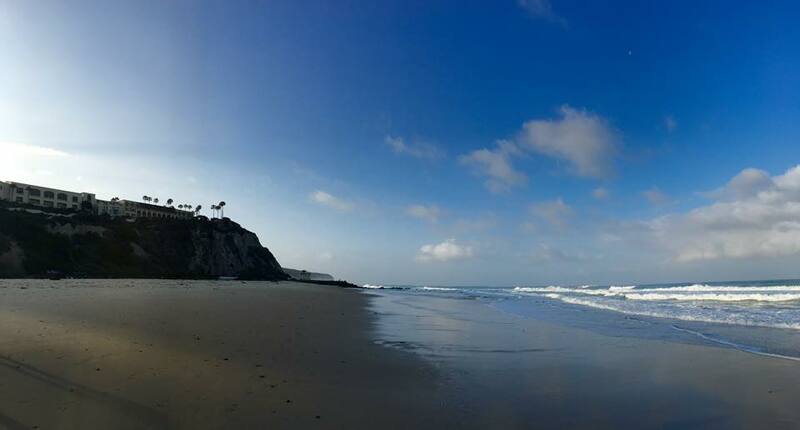 I spent the past few days in beautiful Laguna Nigel, California at the Mom 2.0 Summit. It’s a conference I’ve been to before and each year I look forward to a wonderful weekend full of networking, learning, and fun. I’ve been thinking about the thing that scares me every day and what I’ve come up with is that it isn’t one thing in particular. The thing that scares me is the concept of taking a risk that makes me push past my smallness in the universe in order to speak truth – to be known. In fact, my smallness has become something of a security blanket for me. I love to stand in awe of a great ocean or an incredible night sky counting the impossibly infinite stars and knowing these are just a fraction of reality. Rather than feeling insignificant or unworthy, I find comfort in the truth that life is so much bigger than I may ever know. So when it’s time to take a risk and step out of the shadows and into the light, something happens. It’s then that the fear starts to creep in. Shadows can mean a number of different things and they certainly aren’t limited to blogging. Your shadows could mean something simple like admitting you like a certain type of music or you agree with an unpopular opinion. They could mean a conference full of successful and sometimes intimidating people you barely know. They could mean asking for help when the wheels start to fall off your life and exposing your mess to someone else. This weekend, I listened to US Astronaut, Cady Coleman, talk about living in actual outer space and how she stayed connected with her family while she was away. She then made a comment along the lines of, “the people who are successful are the ones who ask for help,” and I knew that was it. That was my 2016 Mom 2.0 teaching moment. What is the thing that scares you? Did Eleanor Roosevelt know the scariest thing I would do each day is to ask for help? What was the scariest thing she did? Looking at more of her quotable quotes on Goodreads, I have a feeling we would have gotten along quite well. Truth is, I almost didn’t make it to the conference last week. I scrambled a bit for childcare and several people in my life sacrificed to allow me to keep my plans. It was hard for me to feel that my life was affecting others so drastically even just for a few days. It was completely self-imposed discomfort. Spending several days with hundreds of incredibly talented creatives is simultaneously inspiring and daunting. It’s a rollercoaster of floating high on the wings of camaraderie to slinking back to your room quickly to hide for a few moments and catch your breath. It’s being both completely exposed and completely guarded. Read: Someone is talking to me. I must look pretty today. I watched friends and respected bloggers win Iris Awards for taking risks in their writing, videos, photography and communities. I applauded their willingness to be exposed and take risks I haven’t consistently been willing to take but with the knowledge that the ones I have taken were worthwhile. This year, I was eligible to apply for the opportunity to take my family on a National Geographic expedition to the Galápagos Islands. It’s something I could have decided was too hard or too risky. The application took a lot of thought and editing. While it was difficult, I wanted to follow through and I did it. Then, when I heard my name called as one of 10 finalists, I was at once elated and terrified. It’s one thing to apply. But what if I actually get it!? This really wasn’t something I had considered completely. I won’t know the outcome for a few more weeks, but no matter what happens, I am so thrilled that I took a leap of faith, connected with an idea and saw it through, even in the midst of my real life. When I heard my name echo through the speakers, I was known and it was scary. But it was not a bad place to be. Microphone or not, every single woman and man I met this weekend has an uphill climb. Working from home, owning a blog, making a living on the internet; all these things are so brand new, so different than what our world knows, so unsure, that none of us feels sure-footed even half of the time. That in itself is the thing that scares me. But knowing I am not the only one who is scared and I will certainly not be the last is so comforting I can’t help but smile and lean in. Not only to my goals and my checklists; but to my community, my tribe, my family, my friends and my co-workers. I can be known and release the fear again and again, and again. I can take the step out toward success and know that I may fail. We must continue to move forward, to grow, to be wrong and to be right. It’s time. It’s needed. 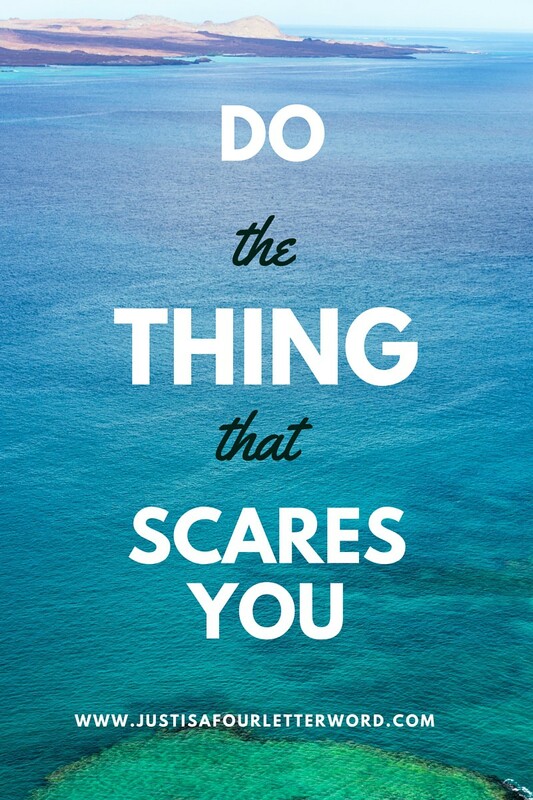 I can do the things that scare me because you are doing the things that scare you. Let’s keep doing that. Such an inspiring post and much needed right now! Feeling so incredibly uplifted and inspired by this post. Thank you for putting it together– it was like opening a gift of confidence. What a lovely thing to say! A gift of confidence. We all need that sometimes, right? So many great tidbits of wisdom, loved reading this. Also, Mom 2.0 looks like an amazing conference, hope to attend one day! Katja, you would fit right in there! It’s a wonderful conference. [WORDPRESS HASHCASH] The comment’s server IP (108.179.200.58) doesn’t match the comment’s URL host IP (107.154.104.48) and so is spam.